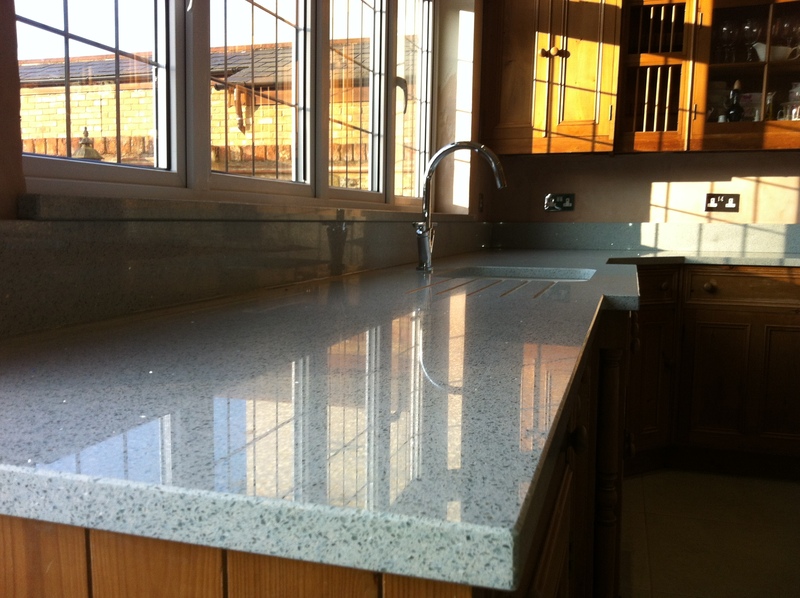 We are a leading Granite Worktops Manufacturer based in Essex. We have been fabricating and installing stone since 1986. We fabricate and install anything in granite, quartz and marble. From kitchen worktops to vanity unitys and bath surrounds. We are also able to tile floors and bathrooms. As well as wet rooms. 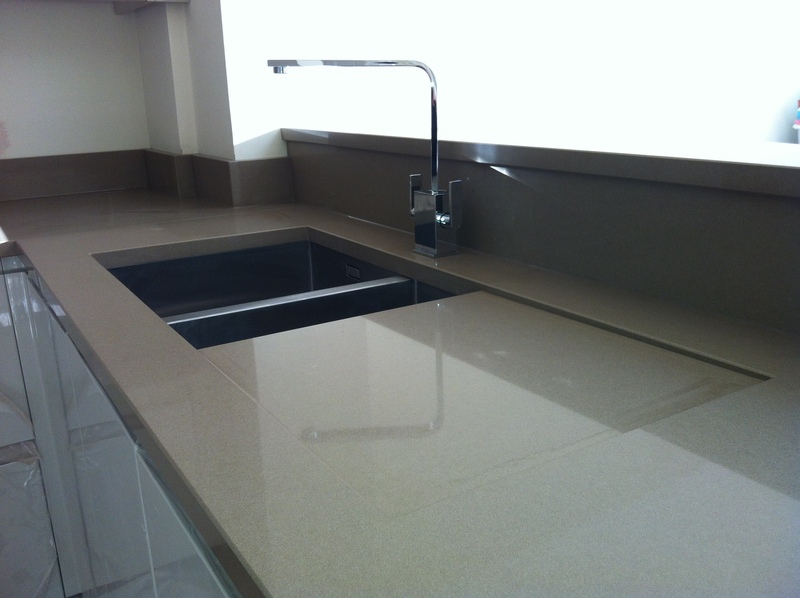 Whatever your natural stone or quartz needs we can help you find a solution. 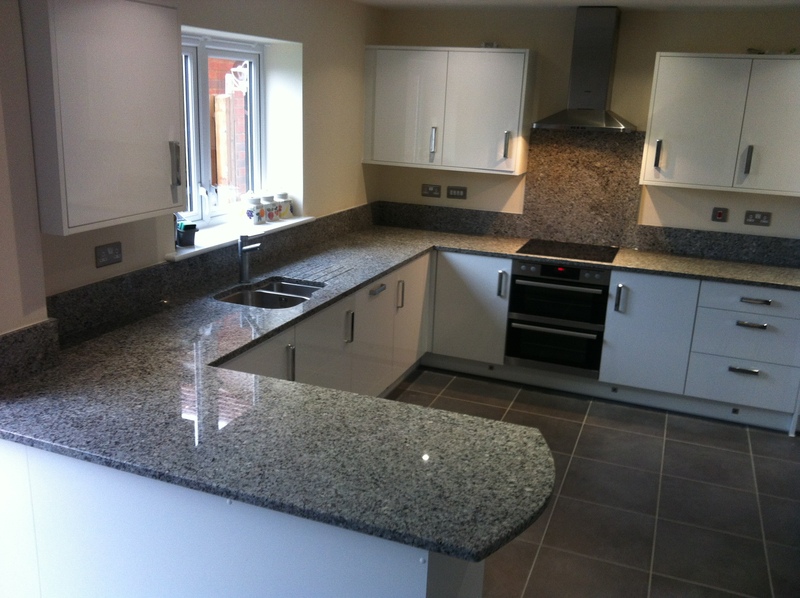 What Happens when you order Granite or Quartz Worktops? 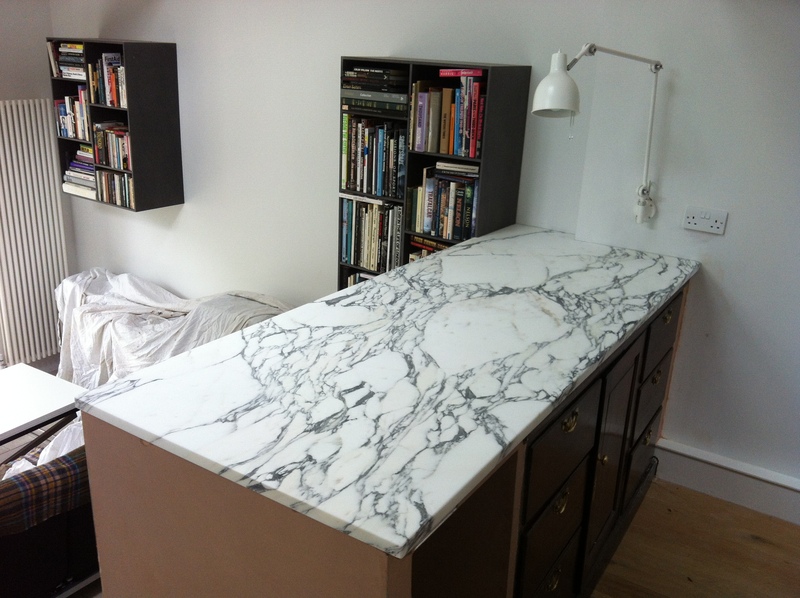 One of our templaters will come to your home and make a template of your kitchen worktops. 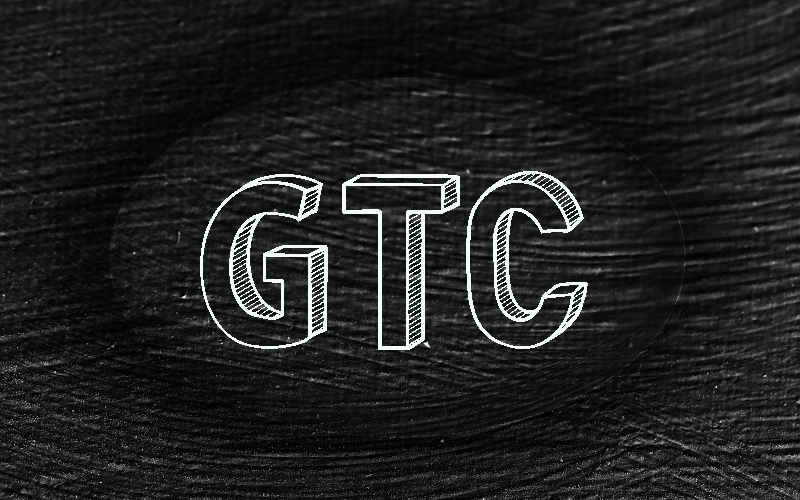 This will be made with MDF or Correx and be used as an exact representation of your granite or quartz countertops. For the best possible results for your kitchen it is important you are there when your kitchen is templated. Once your kitchen has been templated. 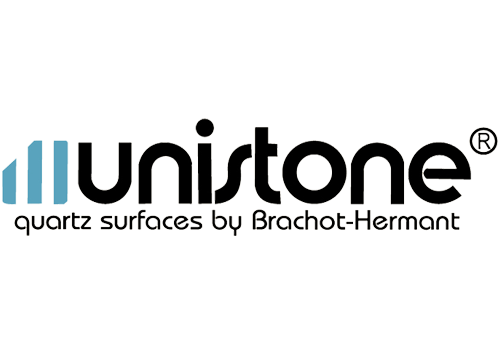 The representation of your tops will be taken back to our factory and we will use them to make sure the granite or quartz slab you have chosen is shaped to the exact dimensions of your kitchen. Then we will make cut outs for things like your sink, hob and socket cut outs. Then finally we will polish the edges of your kitchen to give it the perfect finish. 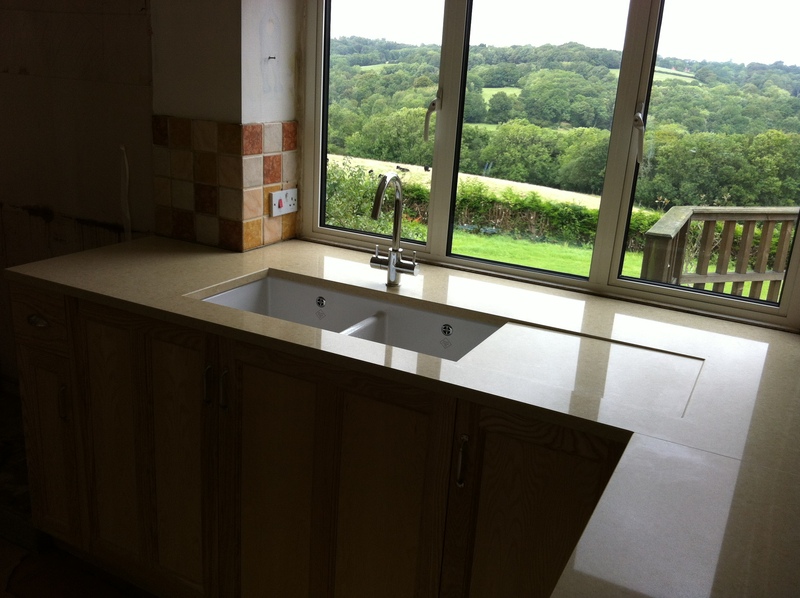 Now that your worktop is fabricated our fitting team will come to your home and install your kitchen worktops. It is best that you leave the kitchen area clear when they are installing your granite or quartz tops. Both for health and safety reasons and to ensure you get the best installation possible. 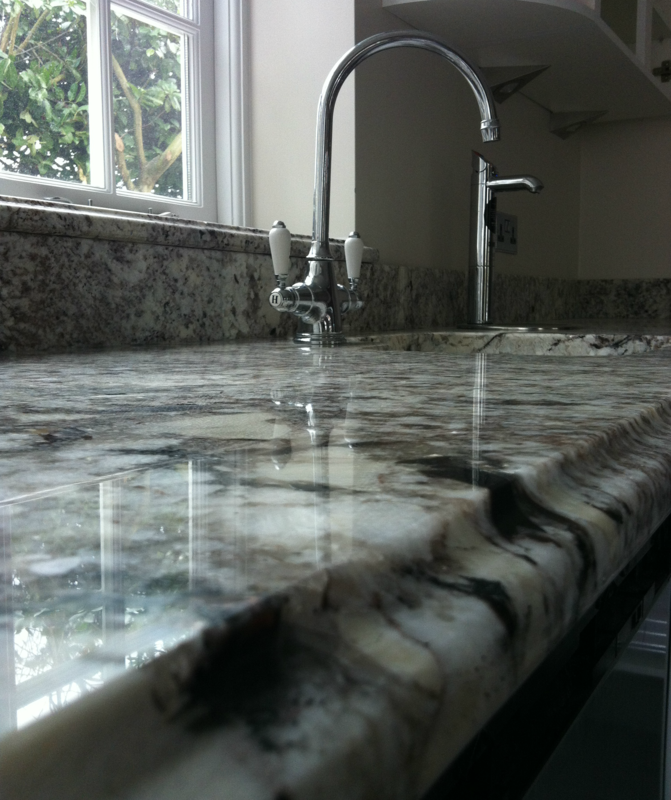 We offer a range of Granite which we can fabricate into countertops for your kitchen. 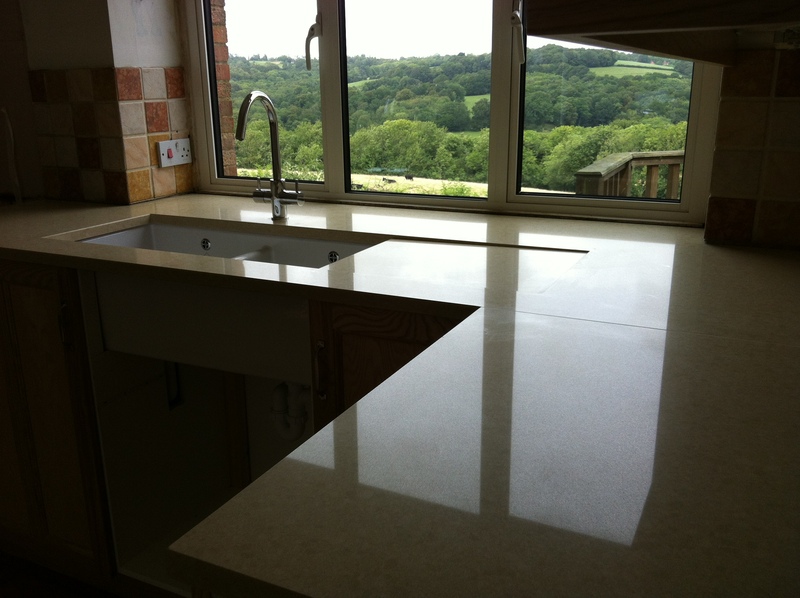 We offer a selection of Quartz which we can fabricate into worktops for your kitchen. If you need any tiling we can supply and fit all types of stone, porcelain and ceramic tiles. If you are thinking about having a wet room, we can install it for you. As well as fabricate any stone you require for the project.